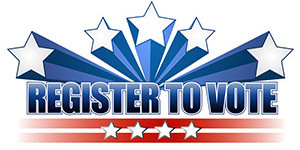 You can register to vote or update your registration anytime from anywhere. Persons needing language assistance under section (4)(e) of the Voting Rights Act, defined as persons educated in an American flag school in which the predominant classroom language was other than English, please contact the office at (321) 633-2124, visit www.VoteBrevard.com or ask for language assistance at your local polling place. Las personas que necesitan ayuda lingüística de acuerdo con la sección (4)(e) de la Ley de Derecho al Voto, que se definen como personas educadas en una escuela estadounidense en la que el idioma predominante en el salón de clases no era el inglés, deben ponerse en contacto con la oficina al (321) 633-2124, visitar www.VoteBrevard.com o solicitar ayuda linguística en su centro de votación local. Deadline for 2020 U.S. Representative, State Attorney, and Public Defender candidates to change party affiliation. Deadline for 2020 State Senator, State Representative, County Office and Special District candidates to change party affiliation.